One of the first interviews we did for the Stories of Integration Project was with Alice Derow in Canora. Her grandparents were Ukrainian and immigrated to Canada in 1898. It took them two weeks to get to Halifax from eastern Europe. Later, they settled in Yorkton, SK. Their first home was a one-room log cabin, which housed five adults and five children. The cabin was plastered with clay, and heated by an oven. Alice told us that her grandparents were farmers and wanted a better life for their children. When we spoke with Alice, she was active in her church and sang in the choir, saying that it was important to her to pass on Ukrainian traditions and language. 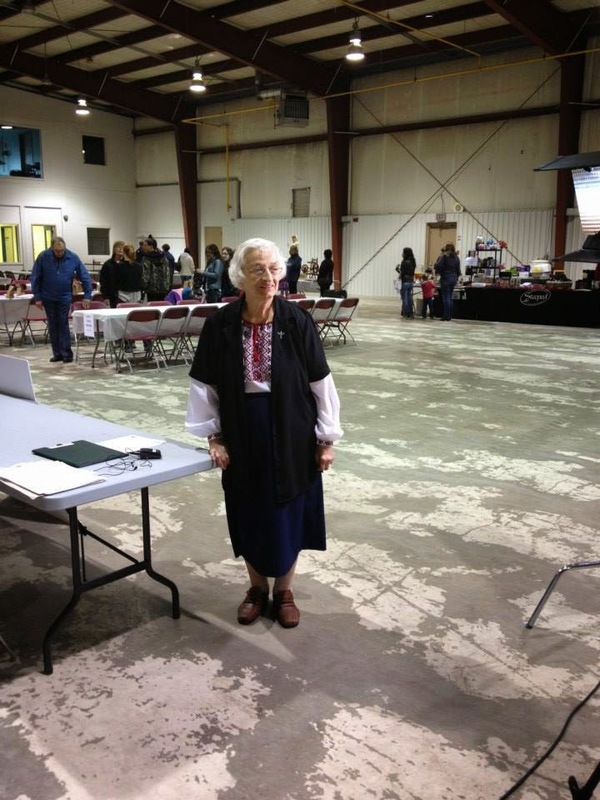 Alice is also on the executive of the Ukrainian Canadian Congress Canora branch. The Ukrainian Canadian Congress - Saskatchewan Provincial Council is one of our partner organizations and is "an inclusive, self-sustaining, vibrant organization that serves the Saskatchewan Ukrainian community to maintain, develop and share its Ukrainian Canadian identity, culture and aspirations." On the UCC-SPC website, you'll find lots of opportunities to contribute to, and participate in, Ukrainian culture in Saskatchewan. You can enter a 50/50 lottery, the proceeds from which support cultural, heritage, educational, youth projects and activities. You can read about the history of Ukrainians in Saskatchewan, check out a calendar of events, which includes everything from a Ukrainian Dance Festival in Prince Albert to a Concert for Humanitarian Aid to Ukraine in Saskatoon, read about the organization's services and programming and much more. When we all introduced ourselves here. We were received warmly by all those who participated in the event. These event venues are a lot of fun, giving access to features that aren't always the easiest to get into and aren't always the most wallet friendly.